4x4Wire - Introducing Go Overland! It is our intent to expand our product line to serve our non-Toyota friends also, providing them with the exceptional value and service that we are known for in the Toyota world. 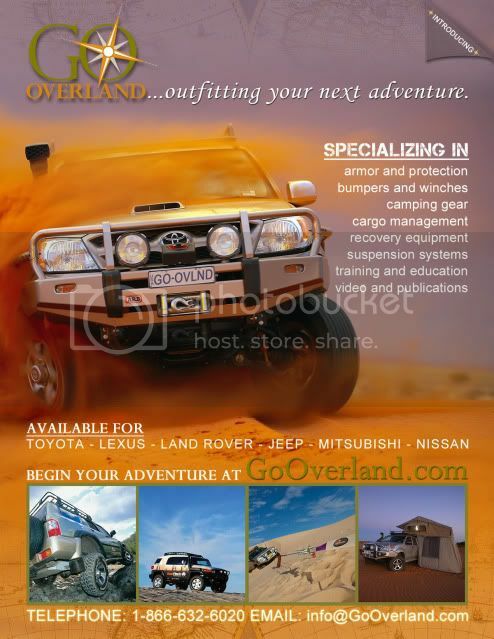 Our sincere desire is to simply make a difference and to live up to our goal of continuing to be a respected supporter of the Overland community. We thank you for your support over the past seven years, and appreciate the opportunity to continue serving our community. Thursday, 15 April 2010 Introducing Go Overland!